Lush greenery, a secret waterfall, a mountain spring and paths through a forest of indigenous plants and fruit trees like mulberries and plums… The gardens of the Camps Bay Retreat are magical. And the new horticultural internship programme is going to make it even more so. Camps Bay Retreat is located on four acres of beautiful private nature reserve. The land borders the lush Glen Forest, a 35.3 hectare area that falls within the Table Mountain National Park. Though overwhelmingly beautiful already, there are ambitious plans to expand on the garden’s potential. Goals include further developing the indigenous plant and tree nursery, as well as the organic herb garden. 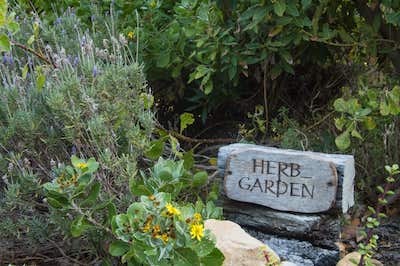 The herb garden already supplies the restaurant’s kitchen with fresh rosemary, mint, thyme, and rocket. Soon this garden will include more varieties of heirloom vegetables, supplying the kitchen with the freshest possible produce. 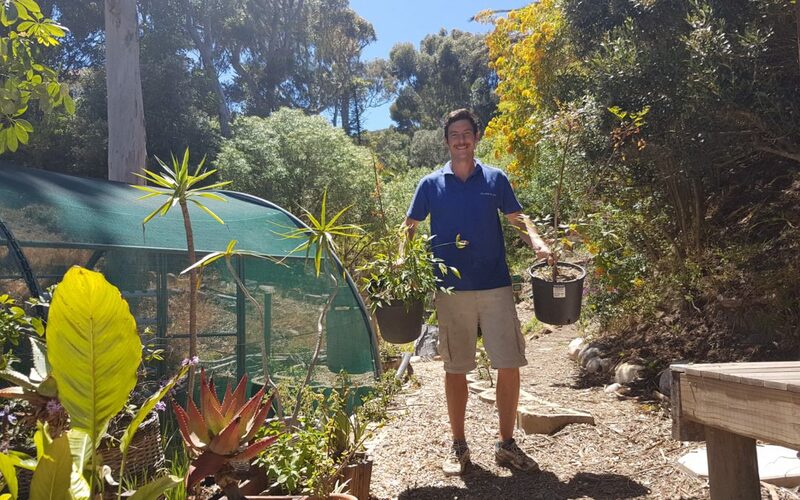 Because the landscaping crew is mostly focused improving walking trails for guests, Camps Bay Retreat is bringing in international expertise through a horticultural internship programme to achieve the exciting goals for the garden. The kitchen’s herb garden allows for the restaurant to use the freshest herbs and, soon, heirloom vegetables. 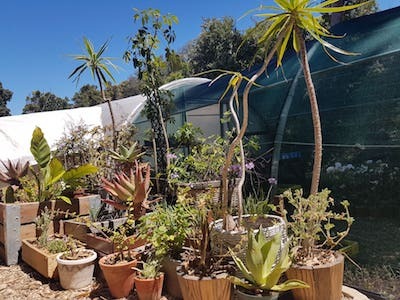 Camps Bay Retreat is piloting a programme to bring in international horticultural interns and experts for learning exchanges. These interns and experts will give their time and knowledge; in exchange, they will receive accommodation and the opportunity to spend time in one of the most beautiful places in Cape Town. Camps Bay Retreat’s nursery is expanding. The first international intern Camps Bay Retreat has taken on in this pilot project is Fergus O’Brien. In his day job, Fergus is a FinTech recruiter in London. He is also a passionate horticulturist. He worked in France at the third biggest plant nursery in the Europe and has travelled through Southern Africa working on safari lodges and farms, building raised beds and learning about permaculture principles. Since then he has expanded the number of plants in the nursery tenfold. To expand the nursery, he has been nurturing existing plants on the property and creating new plants from seed and through cuttings. 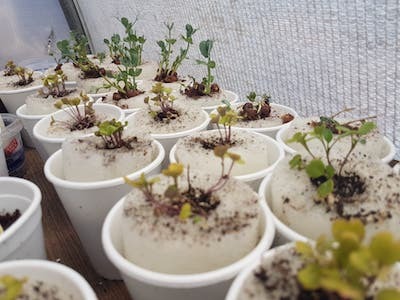 One of the projects the horticultural intern has worked on is a low tech hydroponics system. 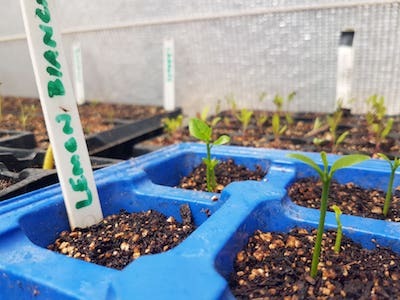 Seeds saved from lemons normally on display at the Retreat have been used to grow seedlings. Seedlings planted in recycled pool noodles. 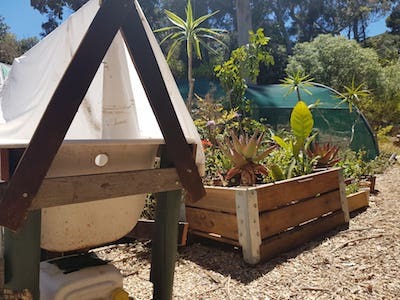 Earthworm farms provide nutrient-rich compost for the Camps Bay Retreat’s plants. Fergus also obtained a seaweed foraging licence, using seaweed to enrich the soil at Camps Bay Retreat. As well, he has started worm farms, recycling old bathtubs from the Village n Life properties. 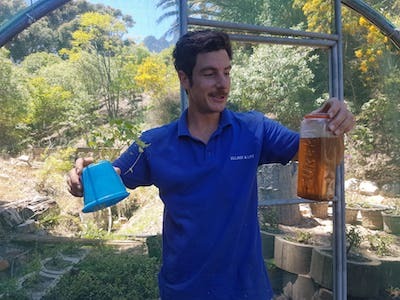 The worm farms produce “worm tea” that is full of nitrogen and other nutrients vital for plant growth. 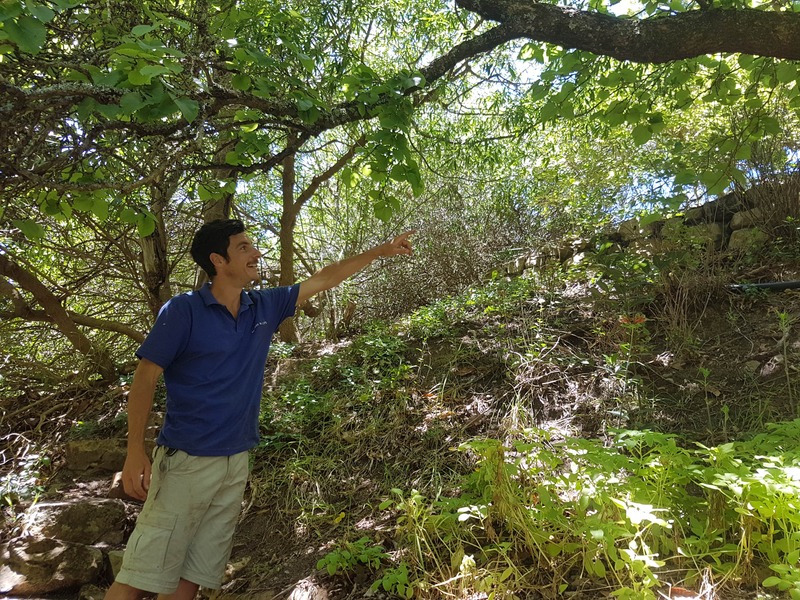 Fergus is also working on the propagation of the property’s ninety-year-old Mulberry tree, located on the Mulberry Steps path. He will be staying until March at Camps Bay Retreat, seeing through his projects to completion. The horticulture team is also taking inspiration from other projects around Cape Town. This includes taking an indigenous food foraging workshop near Cape Point Nature Reserve and visiting local community food projects. Finally, the ultimate vision is to give guests a greater opportunity to experience the garden. The resident horticulturalists will lead tours to explore the nursery and edible plant gardens. The mulberry tree on the Mulberry Steps path at the Retreat is over ninety years old. What a great initiative! I’ll be in Cape Town from 13-28 Feb (for Design Indaba), and would love to visit the nursery. Do you have visiting hours? Hi Mariette, Thank you for your interest. Nursery visits are only available for restaurant, spa, or hotel guests. If you would like to make a booking please email book@campsbayretreat.com.